Nominations are open for the 2013 “Bunsen-Kirchhoff-Preis für analytische Spektroskopie”. This award, from the German Working group for Applied Spectroscopy (DASp), honours the work of young scientists from universities, research institutes or industry who have made excellent contributions to analytical spectroscopy. The Award consists of an award-document and an amount of €2500 sponsored by Perkin Elmer, and nominations are preferred for work in new and emerging areas, such as spectroscopy in nano compartments, and spectroscopy of biomolecules. Nominations should be from a member of DASp but eligibility is open for any scientist meeting the requirements. Self-nomination is excluded. The recipient will be decided by a jury comprising current members of the board of DASp. Further information is available here. Want to know more about this mission to the Red Planet? We will be gaining insight from one of the drivers of the Curiosity rover live this Friday. Paolo Bellutta works at NASA’s Jet Propulsion Laboratory and he will join us live from Pasadena on Friday 7 September at 16:00 BST for a question-and-answer session to be broadcast on the RSC YouTube channel. 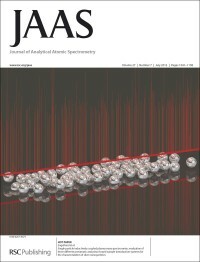 The Society for Applied Spectroscopy (SAS) and the Federation of Analytical Chemistry and Spectroscopy Societies (FACSS) have announced that JAAS Advisory Board member Professor Ralph Sturgeon of the National Research Council, Canada, has been selected as the recipient of the New England Section of the SAS’s 2012 Lester W. Strock Award. This award has been established by the New England Section and is given annually to an author in recognition of a selected publication of substantive research in/or application of analytical atomic spectrochemistry in the fields of earth science, life sciences, or stellar and cosmic sciences. Professor Sturgeon will present the Strock Award Plenary Lecture entitled “Vapor Generation – Make It Your Second Thought for Sample Introduction” on Thursday October 4th at the SciX conference in Kansas, USA. Ralph follows in the footsteps of other JAAS Board members as recipient of this award, including Gary Hieftje, John Olesik, Detlef Günther and Annemie Bogaerts. 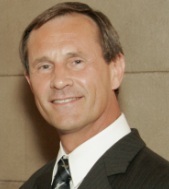 A paper co-authored by JAAS Editorial Board Chair, Detlef Günther has been published in Science and contributes to an ongoing discussion on the role of arsenic in the bacterial isolate GFAJ-1. In December 2010, Felisa Wolfe-Simon and colleagues published a paper, also in Science, which proposed that GFAJ-1 could substitute small amounts of phosphorus in its DNA with arsenic. This claim would have significant implications for our understanding of life, since all known forms of life on Earth typically use oxygen, carbon, hydrogen, phosphorus and sulfur. This new work from Detlef and fellow researchers at ETH Zürich shows that GFAJ-1 is able to grow at low phosphate concentrations even under high arsenate concentrations, but cannot grow in phosphorus-depleted, arsenate-containing medium. They combined physiological experiments with ICP-OES and ICP-MS to provide evidence that whilst GFAJ-1 is highly resistant to arsenate, but still requires phosphate for growth. The authors say that the molecular basis for arsenate resistance in GFAJ-1 could be the subject of further investigations. 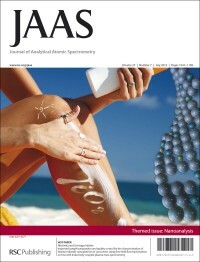 The front cover features a paper from Volker Nischwitz and Heidi Goenaga-Infante, which presents the first systematic comparison and optimisation of extraction methods for the characterisation of titanium dioxide nanoparticles in sunscreens using FFF-ICP-MS. 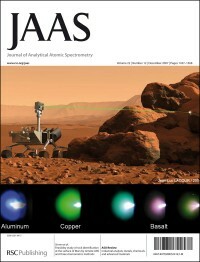 The inside front cover highlights a paper from JAAS News contributor Carsten Engelhard and colleagues. They compare the analytical performance of three sample introduction systems for the characterization of 20–100 nm Ag nanoparticles. Titanium dioxide in nanoparticulate form is used in large scale in a variety of consumer products including sunscreens, so there is an increasing need for methodology for the reliable characterisation of the particle size and size dependent elemental composition in these complex matrices. Such measurement capability is essential for underpinning safety assessments, for quality control of existing products and for correlation of nanoparticle characteristics with biological effects observed in toxicity tests. This paper from Volker Nischwitz and Heidi Goenaga-Infante of LGC, Teddington, UK, describes the first systematic comparison and optimisation of extraction methods for titanium dioxide nanoparticles in sunscreen samples. 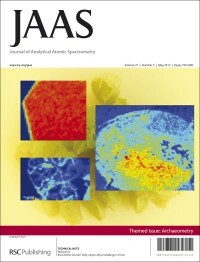 The latest issue of JAAS features our themed issue on Archaeometry, Guest Edited by Patrick Degryse of the University of Leuven (KU Leuven), Leuven, Belgium. The front cover is an article from this issue by Changsui Wang of the Institute of Vertebrate Paleontology and Paleoanthropology, Chinese Academy of Sciences, Beijing, China and co-workers. They performed analyses on an artifact of brass apparently predating the Bronze Age, which was unearthed at Jiangzhai site (China, Shaanxi Province, 4700-4000 BC) in order to infer the probable metallurgical process for the production of this early brass. 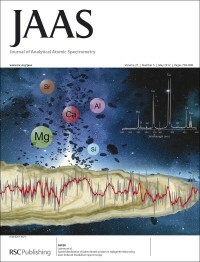 On the inside front cover, Javier Laserna of the University of Malaga and colleagues show, for the first time, that LIBS is a useful tool to study the correlation between the chemical analysis and the age of the rock. We will be publishing a web themed issue comprising work from Central and Eastern Europe in the field of analytical atomic spectrometry. The aim is to highlight, to the wider international community, the achievements in analytical atomic and mass spectrometry made by the researches from this area. The Guest Editors for this collection are Professor Jiří Dědina of Charles University in Prague, and Professor Pawel Pohl of Wroclaw University of Technology. Manuscripts are welcome until the submission deadline on 1 June 2012. The 2012 Spectr’Atom conference takes place at Palais Beaumont, Pau, France, 19-22 June. This meeting is aimed at a wide spectrum of atomic spectrometry users and seeks to promote exchanges between francophone colleagues from Europe, Africa and Canada. The organisers hope that such an exchange forum will contribute to the development of various sectors of the analytical sciences in French-speaking countries. Submission of abstracts is open until 31 March, and more details can be found on the event website. *We can’t promise that all the authors are themselves fluent in French! 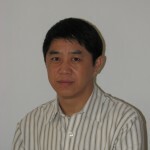 JAAS Editorial Board member Professor Shan Gao of China University of Geosciences (Wuhan) has been elected academician of the Chinese Academy of Sciences. Chinese Academy of Sciences (CAS) was founded in 1949; it is a leading academic institution and comprehensive research and development center in natural science, technological science and high-tech innovation in China.